It's very simple, we have 4 meal types to choose from Lifestyle, Whole30, Vegan, and Keto. Choose a subscription or one-time plan, choose your delivery date, select your individual meals. Easy! You can choose across meal plans, it's all about options. All plans 100% gluten and dairy free! Now available for ordering either weekly, weekly subscription or Monthly Subscription! 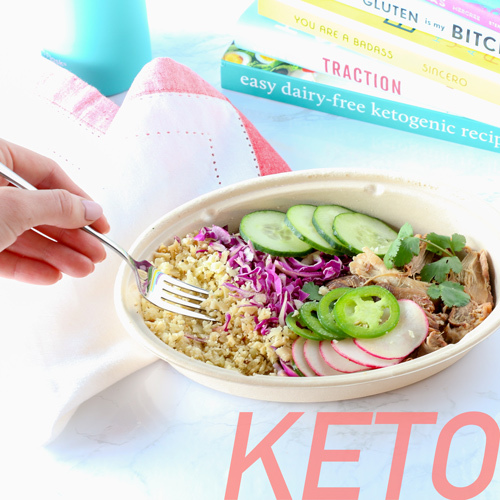 Keto meals are high in fat, low in carbs and made 100% dairy free. You will find less than 20g of carbs and a higher proportion of fat, allow you to reach your Ketosis goals. Allowing you to burn fat faster. It sounds backwards but the body will burn more fat when running on healthy fat. Because of the high fat, these meals are packed with flavor that you won't feel bad about eating. Ready to jump-start your Keto Journey? Our Lifestyle plan is by far the most popular plan. This is the perfect plan for a busy lifestyle. All meals are gluten, dairy, and refined sugar-free. Lifestyle meals come individually portioned with 4 ounces of protein, a healthy portion of carbs, and lots of veggies. 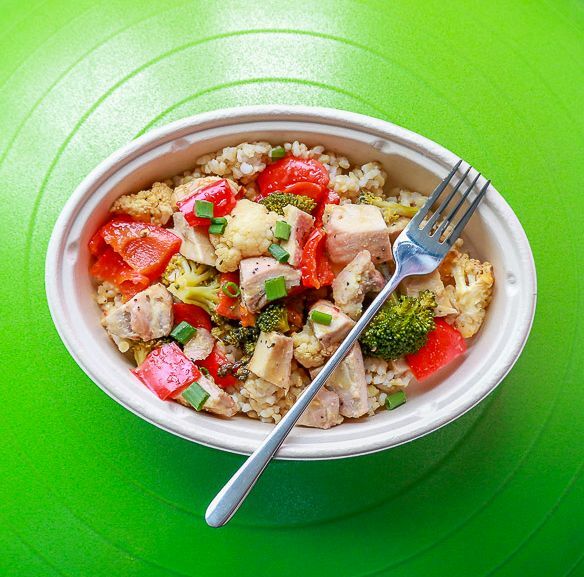 All of it packed with flavor, so eating healthy doesn't make you feel like you're missing out. We believe that having a healthy meal on hand and ready-to-eat is the best way to avoid temptation. Looking for the perfect elimination diet? We have a 100% Whole30 approved menu! 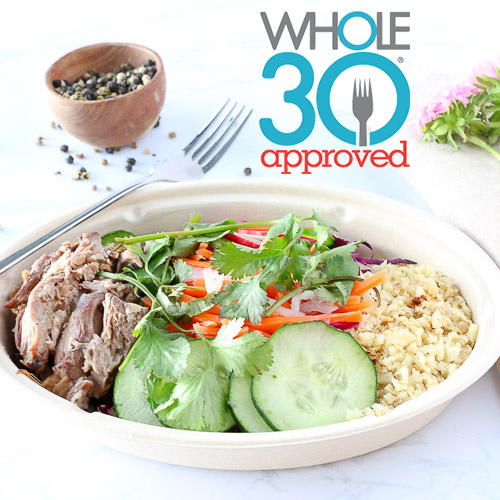 Whole30 is our go-to "reset" diet which will teach you how real, clean, food can taste good and make you feel great. 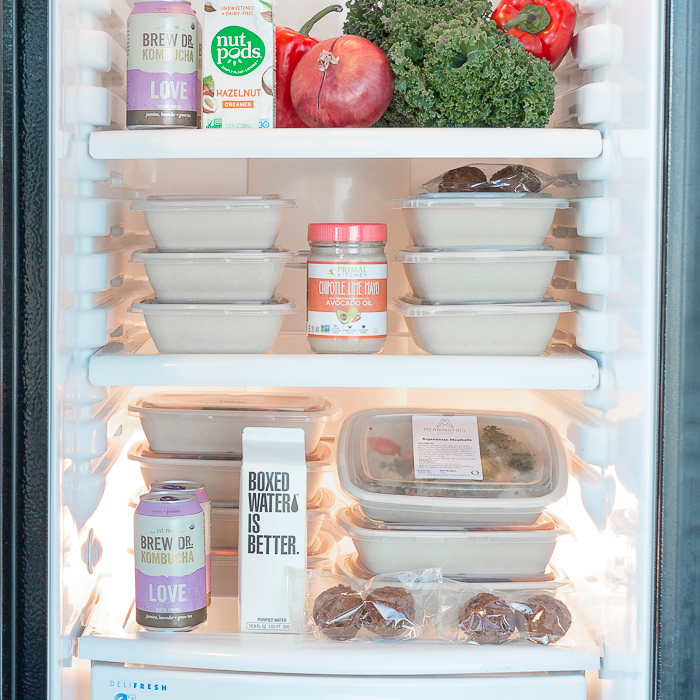 Our Whole30 line is also Paleo-friendly and perfect for those looking for an easy solution to the caveman diet. For a full list of the Whole30 rules check out their site. 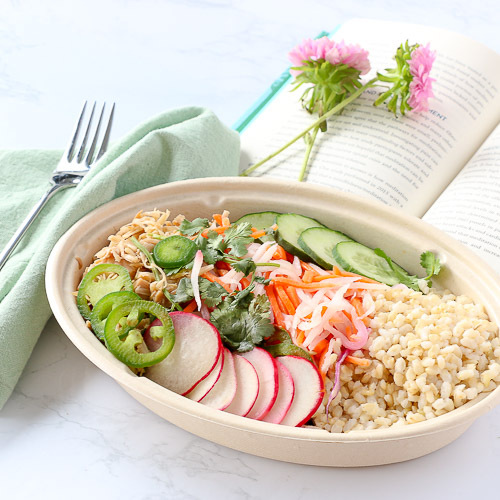 Our Mindful Vegan plan is perfect for your plant-based diet. Our plant-based recipes are designed to keep you very full, feeling alive, and never lack in flavor. Portioned for an individual, packed with protein, and fiber. Get Mindful now and see how good plant-based can feel. That's cool, try our One-time orders when you need a little help with your goals. You can mix and match your meals from any program, this includes, Whole30, Vegan, Lifestyle and more. You still pick the meals you want for the week no matter what meal type. Great for those counting macros and need to customize based on meal type. Save 10% for the entire month when you select one of our monthly packages. You can order from Whole30, Keto, Lifestyle, and Vegan. *With our monthly plans, you receive 4 weeks of 6 or 10 meals per week. 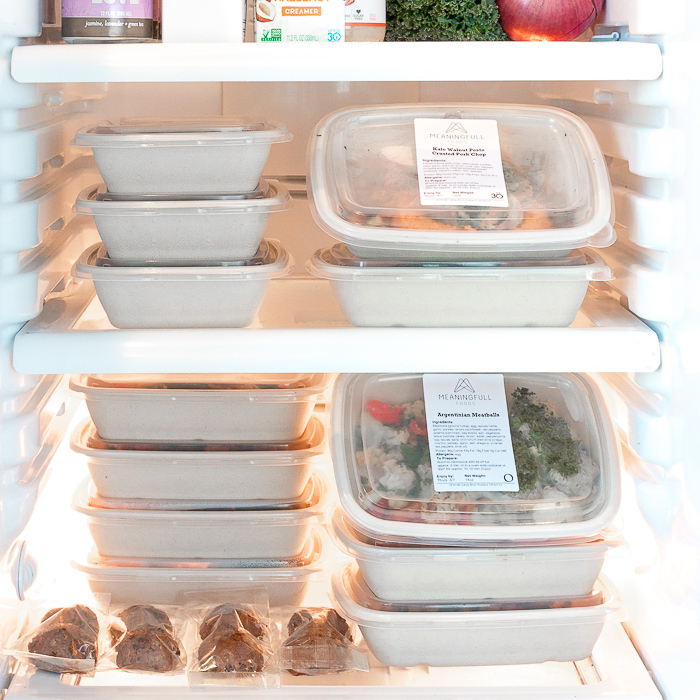 With no more excuses, your fridge will set you up for success each week. Start your clean eating month now! *Meal selections are chef's choice (6 meals plans will have 2 repeats, 10 meals plans will have at least 2 of each meal type). Skipping weeks is not allowed.